The sockeye inquiry continued its examination of various types of fishing and the underlying implications on Fraser salmon sustainability. It’s no doubt that salmon fishing needs consideration by Justice Cohen. 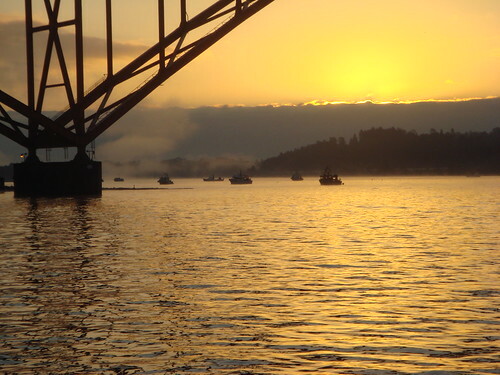 In February and March the inquiry looked into the direct human effects on salmon through commercial and recreational fishing and also revisited harvest management. Another interesting document that surfaced on Feb 21 was a briefing note from 2000 to the Minister of Fisheries that touches on the declining economic value of certain salmon stocks, theories for their declines and a strategy for communications to the public. Two other reports of interest that were released during this section were the Policy and Practice reports produced by the Cohen Commission which summarize a broad range of issues related to the commercial and recreational fisheries. Linkages were made between the Wild Salmon Policy and the commercial fishery on Feb 24. Ecojustice—counsel for the Conservation Coalition (which includes Watershed Watch)—questioned Jeff Grout of DFO on useful tools such as shared-based management and selective fishing, that might be emphasized by DFO in order to better implement the Wild Salmon Policy (page 23, line 12). Grout agreed.